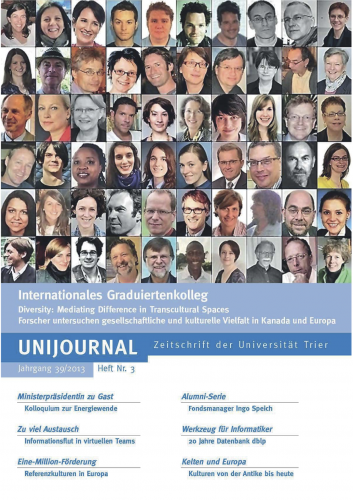 At the beginning of the German winter term 2013/14, the IRTG Diversity was featured on the U of Trier University Magazine's cover page. See here http://www.uni-trier.de/fileadmin/organisation/Presse/Unijournal/Ab_2010/Unijournal_3_2013.pdf, pps. 34ff., for the magazine's article introducing our research group to the public.